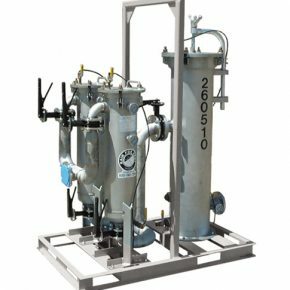 Individual particulate filters remove small to medium sediments and particulates from fluids and handle flows from 50 to 1,000 GPM. 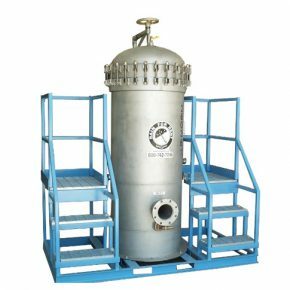 These replaceable particulate filters are available for medium solids holding capacity from 100 to 0.5 micron nominal rating. 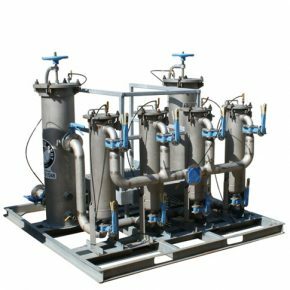 These filters are suitable for numerous filtration applications and will allow you to meet or exceed Phase II discharge requirements. 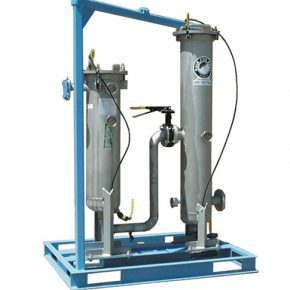 Skid-mounted and able to operate at up to 150 PSI, these filters can be used either as a stand-alone unit in sediment filtration or manifolded with other equipment.